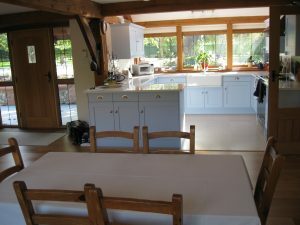 Originally four small cottages, our clients wanted a large living, dining and kitchen area, along with additional bedrooms. 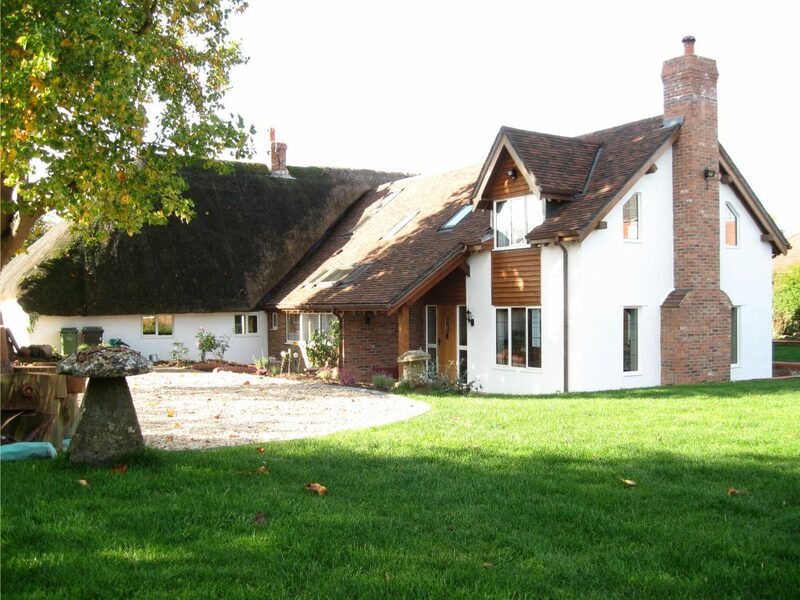 The extension was designed as a green oak frame, supplied by Carpenter Oak & Woodland. A new rear entrance brings the owners into a covered porch. Being to the north side of the cottage, and close to a large lime tree, sensitive use of rooflights has brought natural light in. 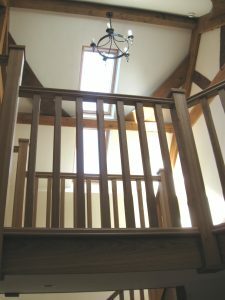 The house uses a mixture of sustainable energies, with an air source heat pump providing much of the load. This is supplemented by a woodstove with a high output boiler, and high levels of insulation throughout. It has a whole house air recovery system, continuously introducing fresh air and expelling air from areas of high humidity.